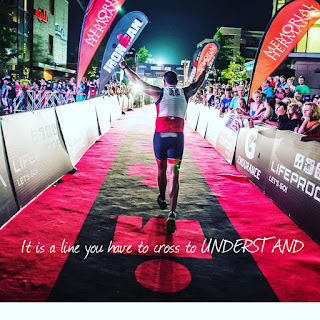 Triathlon Tips: 13 Ironman Triathlon Recovery Tips - Recover Faster!!! 13 Ironman Triathlon Recovery Tips - Recover Faster!!! What does crossing this line mean to you now? Finishing an Ironman is a huge accomplishment but it is also extremely taxing on the body. There are It is important to not let soreness be the barometer for whether or not you are recovered. Your soreness will likely be gone in days, but it could take weeks or months before you are fully recovered from your Ironman. so many things internally that are happening to your body that you can't see or feel. These tips will help your entire body recovery faster. There isn't a magic recovery, pill, treat recovery like you treat training and take it seriously and you will benefit. You may not be able to see or feel a difference by following one single tip but do many of the tips over and over again will lead to a faster recovery. #1 - Drink a protein shake as soon as possible after the race. This will start the recovery process as soon as possible. You will get plenty of carbs at the food tent, but there are usually no easily digestible protein options so have a family member bring one of these to you shortly after the race. You can stop at the local drug store and get a six pack of Ensure or bars as well. 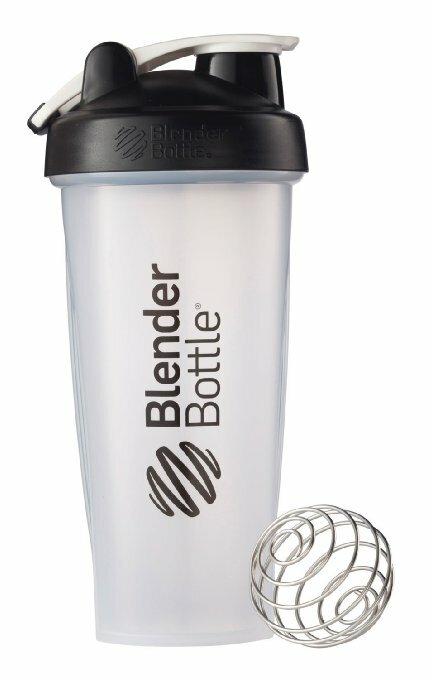 I prefer to put some whey protein isolate in a Blender Bottle as I drink protein shakes everyday. It doesn't really matter as long as there are some quick absorbing proteins in it. 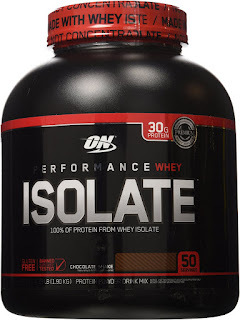 Whey is quick absorbing. #2 - Keep moving - the night of the Ironman you might have a trouble sleeping either because of pain and discomfort, or because you took a whole lot of caffeine. If need be go for a 30 minute walk before bed if you finished in the 9-14 hour range. Light movement is the best thing you can do for your body post race to flush the legs. #3 - Sit in recovery boots. If you are fortunate enough to own a pair of recovery boots then sit in them for 30 minutes before going to bed. No doubt you saw Normatec at the Ironman expo. Although expensive, they are a very pleasurable and relaxing way to move waste out of the legs. For those who can't afford Normatec there are great options that are much less expensive like the Air Relax system. 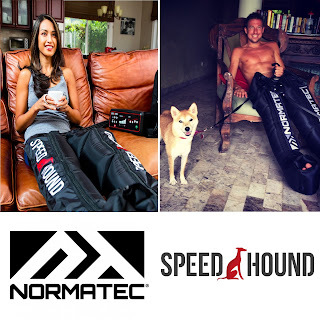 I did a short comparison of the two units here: Normatec vs Air Relax and include discount codes for $100 off Normatec or 5% of Air Relax in the review. #1 - Drink a protein shake for breakfast and a glass of water. Your body needs fuel and protein to continue the recovery process. Have this before your normal breakfast. Real food takes too long to break-down and you want to keep the recovery process going. #2 - Keep moving - if there are morning festivities for the race, attend them and try to go for a light walk before and after. #3 - Avoid caffeine - caffeine is going to add further stress to the system. Avoid it if you can as it will speed up recovery. I understand there may be situations where you need caffeine, like you have a long drive home and you need to stay awake. #4 - Drink lots of water - your body could easily be 10lbs heavier than before the race. Ironmans are incredibly tough on the body and cankles and fluid build up (edema) is quite common. Your body is holding on to a ton of fluid for a variety of reasons, but it is important to keep drinking water to help clear waste. For my body at my usual effort it can take days to get back to a normal weight. Depending on how fit you are, your body and body type, and how deep you had to dig in relationship to your fitness, your retention period will vary. Regardless this is not a 70.3. Ironmans really tax the body and you may not be used to this kind of swelling. #5 - Take a nap. If you have the time take a nap. The more naps the better. Don't think of naps as being lazy, think of them as aiding the recovery process. #6 - Avoid NSAIDs and other painkillers. Anti-inflammatories are going to be hard on your system. If you need something for pain look to natural anti-inflammatories like Bromelain, the enzyme in Pineapple that is an anti-inflammatory. 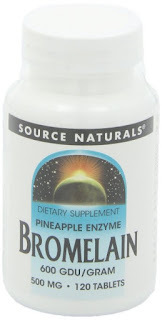 You can buy Bromelain itself which is extracted from Pineapple and is very affordable. It also aids in the breakdown of proteins which will also help the recovery process. My recommendation is this Source Naturals 2-pack. 240 tablets in total. #7 - Drink a protein shake for lunch and dinner along with normal food. #8 - Take short frequent walks - this really helps promote blood flow and flushes the legs. #9 - No running - If you are an exercise junky please refrain from running. If you feel really really good you could go for a short spin at the easiest possible effort for 15 mins. Swimming is your friend - a 1k swim is also acceptable. Absolutely no running. 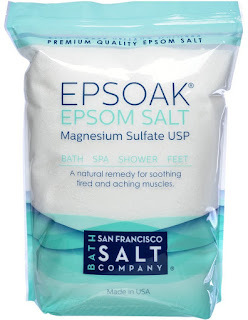 #10 - Take a Epsom Salt Bath - Epsom salt can help relieve general soreness with delayed onset muscle soreness (DOMS) - this is what you are feeling. #11 - Spend more time in the recovery compression boots - if you have them, keep using them Ideally spend 3x30 minute sessions a day, morning, breakfast, and before bed. 3x20, or 3x15 if you don't have the time. #12 - Take off work - hopefully you took a few days off work for your Ironman. If not consider it. #13 - Be cognizant of germs - post-Ironman you have little to no immune system and it is very easy to get sick. I am not a stickler in general about germs but post-Ironman it is a good thing to think about and be a little more preventative. Often times post race you can't find any hand sanitizer but it is a great thing for your family to pack. Post race day 2 is very similar to post race day 1. I won't re-write the tips, but you want to continue to do everything from Day 1. If you are traveling via air and you have a long flight you want to make sure you get up mid flight and walk around a bit. You could very easily be even more sore on day 2. In addition, you might feel an overwhelming sense of lethargy. Believe me, although you can't feel or hear it, your heart is telling you that it is very tired. If you are up to it, and have the energy, swimming is the best rehabilitation. Keep it very short and very easy. You can do up to 3x 1k a day spaced out morning, lunch and dinner. If you did a hot race, swimming helps bring down your core temp. You can also walk or do a very light spin to promote recovery. Re-read day 1 and day 2. The only real change on Day 3 is I add in some foam rolling to help facilitate recovery of the muscles and tissue. You can also get a massage as a replacement for foam rolling. You can stop the Epsom salt baths or you can continue as well for relaxation purposes. If you don't already foam roll then it is a good thing to get in habit of doing. Unfortunately, my favorite foam roller is a little tough on people who don't already foam roll. If you do foam roll, you will never go back to your old foam roller once you get used to the Rumble Roller. My preference is the firm black version for home and I have the blue (softer) in the smaller version that I take with me in my carry-on. Again re-read the prior days. There is no additions and subtractions on day 4. Day 4 is the last day of what I call the "acute recovery phase". There is less of need for hydration and protein shakes. You can resume your normal diet and your daily coffee. Your body may or may not be back in equilibrium - if you are someone who frequently weighs themselves, you may weigh yourself but keep in mind you may still be holding on to a lot of water. Personally I do a lot of swimming after an Ironman but I do this for a living so I need to keep working towards my next event. I will usually see a lot of fluid come out of my body during my swims on Day 3 and Day 4. When it comes to eating, I suggest people be mindful of what they are eating. Likely your immediate soreness is gone but your body may still have weeks and months ahead of it to fully recovery. It is perfectly acceptable to gain a few pounds, but remember your body doesn't necessarily need the same amount of fuel as it did during training. I would keep any exercise to really easy swimming and biking to continue to promote bloodflow and recovery of the tissues. Walking is always good too. Your own feel is your best barometer. The focus of week 2 should be dictated by a variety of factors including your future goals. Some people will never do another triathlon or Ironman again, while others were itching to get back to training the day after the race. What is important is to be mindful of what you need personally. 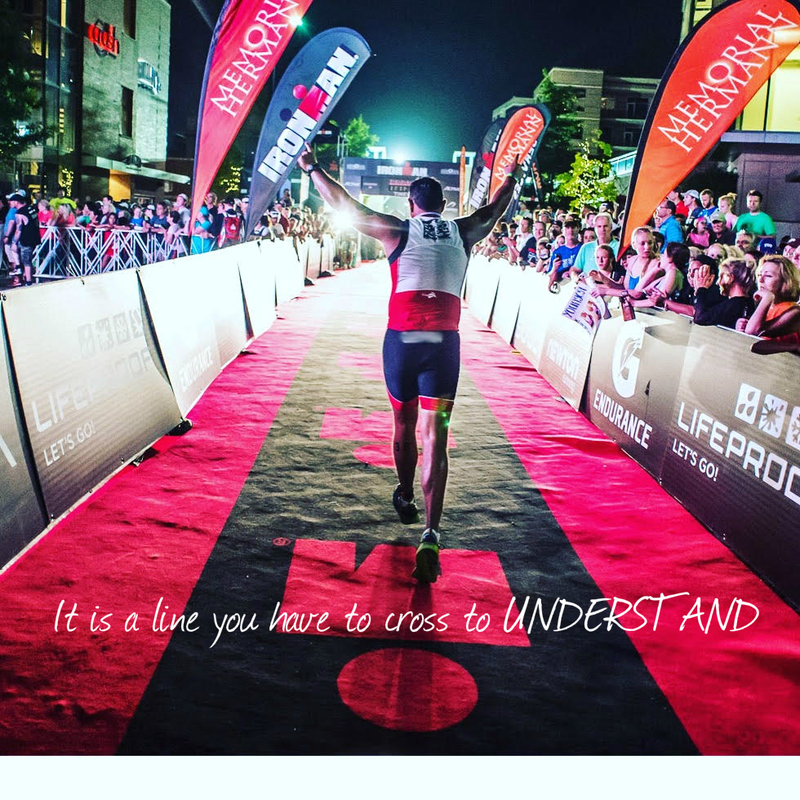 Regardless of your future plans, know that you spent a lot of time training for your Ironman race. You probably spent so much time that the training may have defined who you are and gave you a real sense of purpose. It might be difficult to fill your day without the training. Be aware that there is such a thing as the post-Ironman blues and it is a common feeling. That sense of purpose plus all the endorphins from exercise is great for mental health. My suggestion is to make fitness a life long process even if you never do another Ironman again. However if you don't feel like it then take this time and spend it on family, friends, work and other hobbies you may have neglected in your training. If you want to continue your journey start planning the next one.